It seems only fitting that, on the first anniversary of Steve Jobs’ death, I draw attention to this portion of his Stanford University Speech. By now, this speech is legendary and most probably will be one of the most significant speeches ever given throughout history. However, the above video focuses on Steve Jobs’ thoughts about death. It is inspiring, it is courageous and it is indelibly memorable. It will resonate with you for the rest of your life and, if taken wisely and seriously, may impact the direction of your personal and professional decisions from hereon in. Steve Jobs was a genius; however, more than that, he possessed incredible insight and intuition that allowed him to touch the hearts and minds of all who came to know him. Today is a day when we should focus on all the exciting advancements we have come to enjoy because of Steve Jobs’ passion for arts and technology. As a musician, his life’s work has touched my life in a significant manner. Special thanks to 1digitalfingerprint for once again drawing my attention to this video. Our hearts and our prayers go out to Steve Jobs’ wife, Laurene, his children and family members. R.I.P. Steve. You are missed but feel consoled that you have left Apple in capable and wise hands. Research Study Regarding People’s Reactions To The Death Of Steve Jobs. Does everything need to be analyzed? Why is it that we cannot grieve or show elation without a psychologist invading the deepest recesses of our mind to figure out why we, well, feel? The latest study focuses on the grieving patterns of affected people over the death of Apple Inc. co-founder and genius, Steve Jobs, last October. Now, I admit that his passing over-whelmed me. 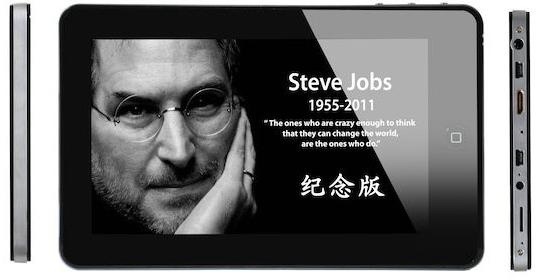 I found out about his death while typing on my IPad, the mobile device he envisioned and that went on to break sales records. It was tough news to swallow. However, grief over the passing of anyone will affect all of us in different ways. It’s the nature of the beast. I remember when John Lennon was murdered and how catastrophic it was to his many fans. I counted myself one of them but did not grieve as deeply as other people. Some were more attached to his music, his message, his charisma, than was I. On the other hand, Steve Jobs touched so many people in different ways. For me, he unlocked a dormant area in my brain that allowed me to combine my artistic and technological passion. The artistic was always there – I am an established musician. But, the technological remained hidden, beyond my reach. Although I often dreamed of how I could add more technological components to my concerts, it seemed far beyond my reach. Yet, with the evolution of Apple products, Steve Jobs embraced the artistic – technological partnership and, thus, artists from all walks of life became naturally attached to Apple. He emphasized the importance of technology in the arts and made the tech world more exciting and fun. It attracted not only artists but also people from every walk of life. And, of every age. So, it is only natural that people mourned his death. We lost a genius, someone who took enormous risks in order to make the world a better and more exciting place in which to live. He was not a perfect human being, but, in terms of his technological contributions, he came as close to perfect as one could attain. Yes, all over the world, people mourned the passing of a modern day genius and one didn’t need to be researched to wonder why. We lost one of the great inventors of our time, a historical figure who monumentally changed the world. He left a huge void and, yet at the same time, an enormous legacy by ensuring that Apple Inc would remain an exciting and innovative company for generations.